Igli Tare continuing the hunting of Albanian talents. Lazio's sports director has formalized another approach for the future. 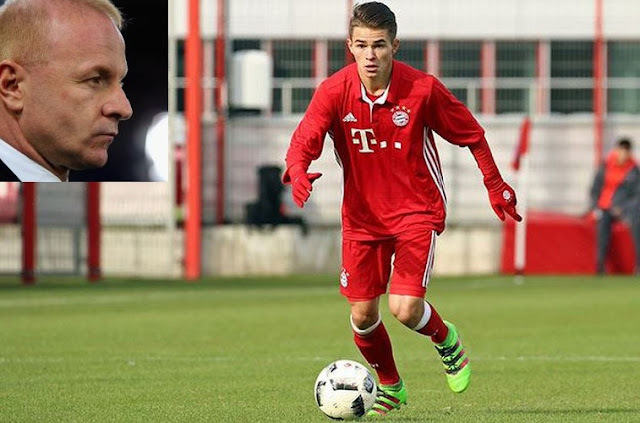 It is about the Albanian talent Progon Maloku.The striker who grew up in the Bayern Munich academy has signed a 3-year old contract with the capital team and will pass to the Layio team led by the coach Bonati. Maloku is only 18-years-old and is a promising talent that is expected to break into the team of Lacios. We remind that the striker has been of Albania U-18 and U-19.